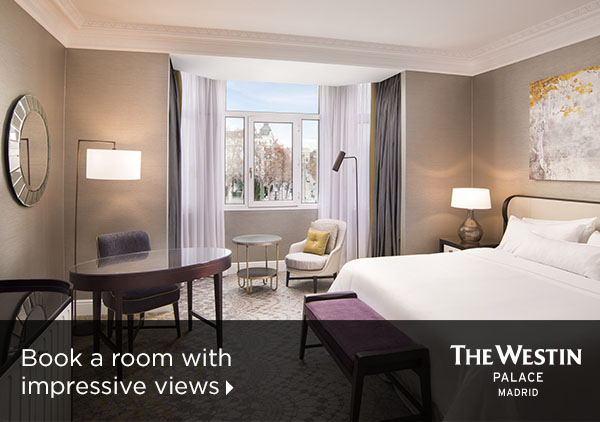 The airport nearest to the The Westin Palace Madrid is the Barajas International Airport, less than 20 minutes away by car. The hotel offers transfer service with a Mercedes sedan (up to three passengers) or a minivan (up to six passengers). Reservations need to be made 48 hours prior to the arrival date. 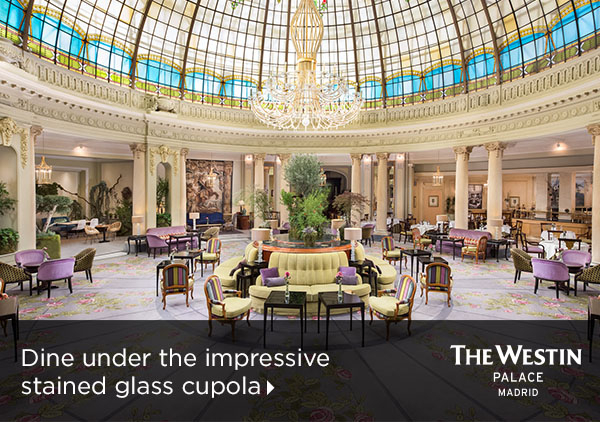 Commissioned by a King in 1912, Alfonso XIII created a hotel that would do justice to Spain's capital: The Westin Palace Madrid. 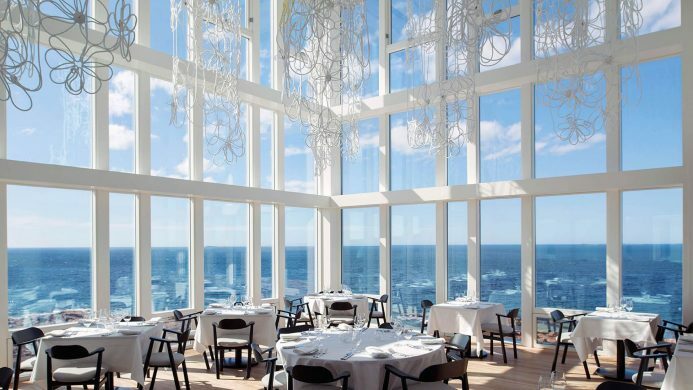 Now a symbol of the city's spectacular past and exciting future, this is a hotel designed and restored with royalty in mind. All 470 rooms and suites allow guests - whether blessed with blue blood or not - to be King or Queen for a day ... or longer, of course. 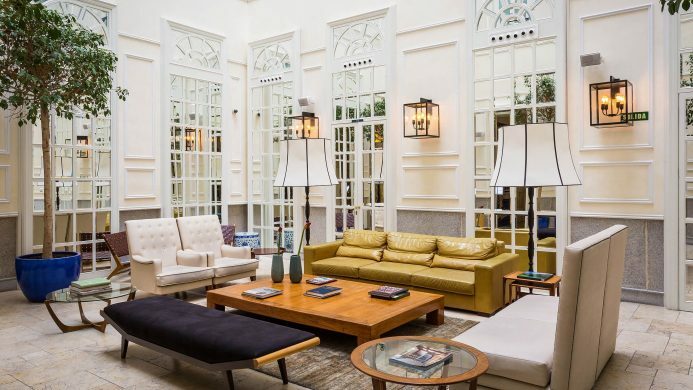 Located in the heart of Madrid's cultural and financial center, the hotel features a stained-glass dome that is a masterpiece in itself, possessing incredible colors and details that will cause even the most focused passer-by to stop and stare. While you're here, explore the Spanish capital's passionate streets and impressive places. The Prado, Thyssen, and Reina Sofia museums are nearby, as are some of the best tapas restaurants in town! Mind you, reveling in your "Westin Heavenly Bed" or the Royal Suite's built-in Bang & Olufsen sound system isn't a bad idea either. Enjoy, your highness. 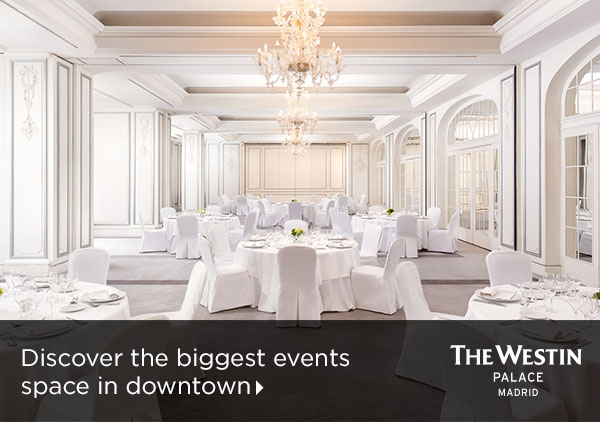 Send an availability request with your requested dates to the The Westin Palace Madrid. Feature 2 Twin beds, LED TV and Wi-Fi Internet. Features 2 Twin beds, LED TV and Wi-Fi Internet. Features 1 Queen bed, LED TV and Wi-Fi Internet. 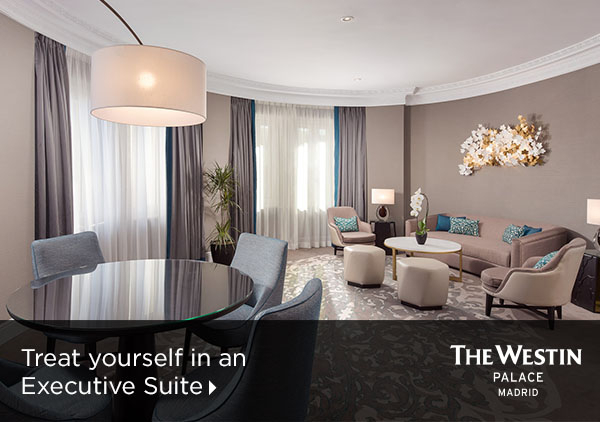 Features 1 King bed, LED TV and Wi-Fi Internet. Features 1 King bed, living/sitting area, coffee/tea maker, LED TV and Wi-Fi Internet. Features 1 King bed, 1.5 bathrooms, separate living room, LED TV and Wi-Fi Internet. Features 1 King bed, 1.5 bathrooms, separate dining room, living room, coffee/tea maker, LED TV and Wi-Fi Internet.